"Helping You Reach Your Financial Destination"
At The Financial Wealth & Wellness Center we believe that having a well-defined plan – one that fits your unique situation and changes directions with you -- is a powerful tool that will assist you in accomplishing your short and long-term financial goals. Your GOALS Are Our Mission. A clearer picture of your financial future. A well-defined plan to help you navigate your objectives. Ongoing support to aid in the adjustment of your plan when your needs and focus change. 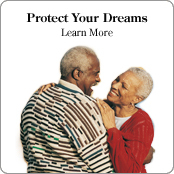 Whether your desired financial destination may be to buy a new home, fund your children’s college education, protect your family during the working years, or guarantee your own retirement security, these desires will not happen overnight. It is important to determine what you’d like to achieve financially in the short term as well as long term, and then map out a strategy that will help get you to where you want to head. Our Web site has great resource to guide you in the planning stages. However, please do not hesitate to contact us for additional information or to schedule a meeting. Enjoy the journey!